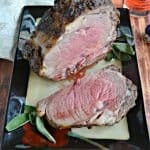 Around the holidays I love making a big beef roast. It’s nice to invite friends over and be able to share a delicious meal that doesn’t take too long to make. 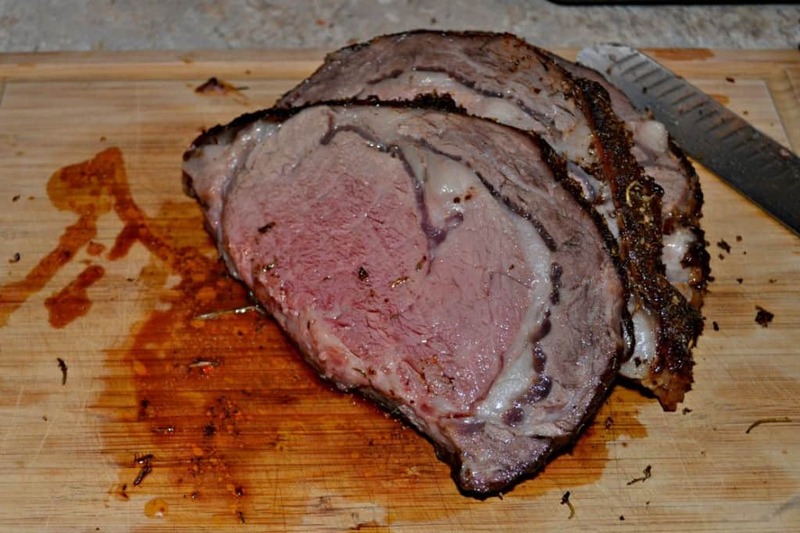 I always feel that beef roasts can be show stoppers and require little work if you know how to cook them. Let me be totally honest. 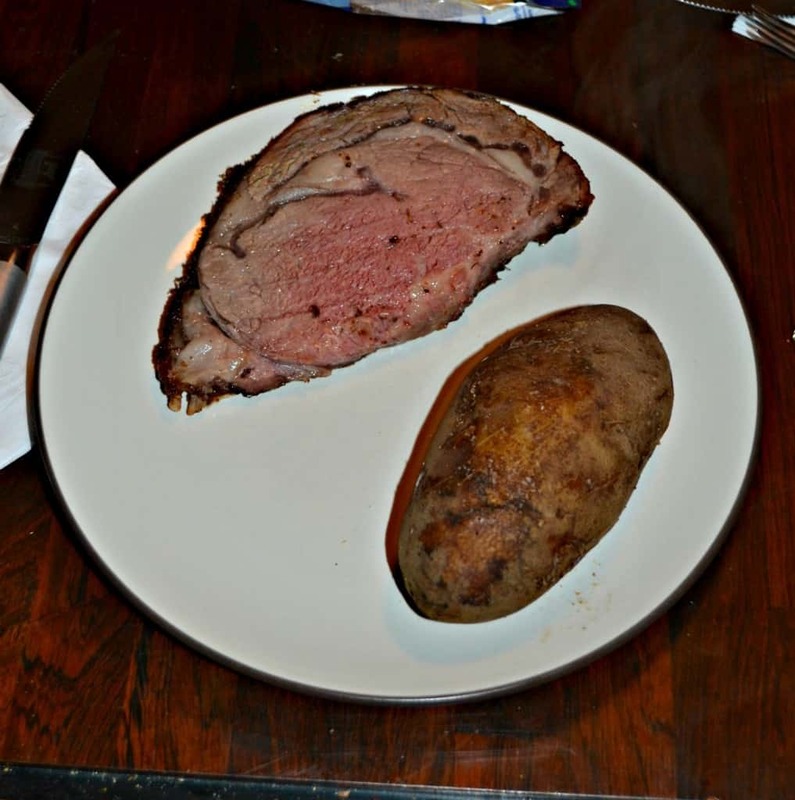 The first time I cooked a beef roast was 3 years ago. I was so worried it was either going to be raw in the middle or well done on the ends. My hope is that the roast would be somewhere between medium rare and medium so everyone could find a piece to their degree of doneness. 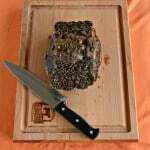 In order to cook the beef roast I used Certified Angus Beef brand’s Roast Perfect app. All you have to do is download the app, choose the type of roast, and the weight. Then the Roast Perfect app will tell you what temperature to turn the oven to as well as how long to cook it! It worked well for the first beef roast I made and it’s been great for the next ten or so that I’ve made. I don’t cook a beef roast without it! When I went to my local Weis Market I was excited to see that Certified Angus Beef brand Bone In Ribeye Roasts were on sale. In fact, they were such a good deal I bought two of them! I figured I could make one for our holiday meal and then make the other one on a weekend when we were having a dinner party. To make the roast I simply rubbed it with the pepper and herbs and put it in the oven according to the timer. Then I made the Garlic Parmesan Horseradish Cream while the roast was in the oven. Once I pulled the roast out to rest I put everything on the table and then sliced up the roast. The flavor was incredible. There was a nice crust on the outside and the inside was juicy and delicious. 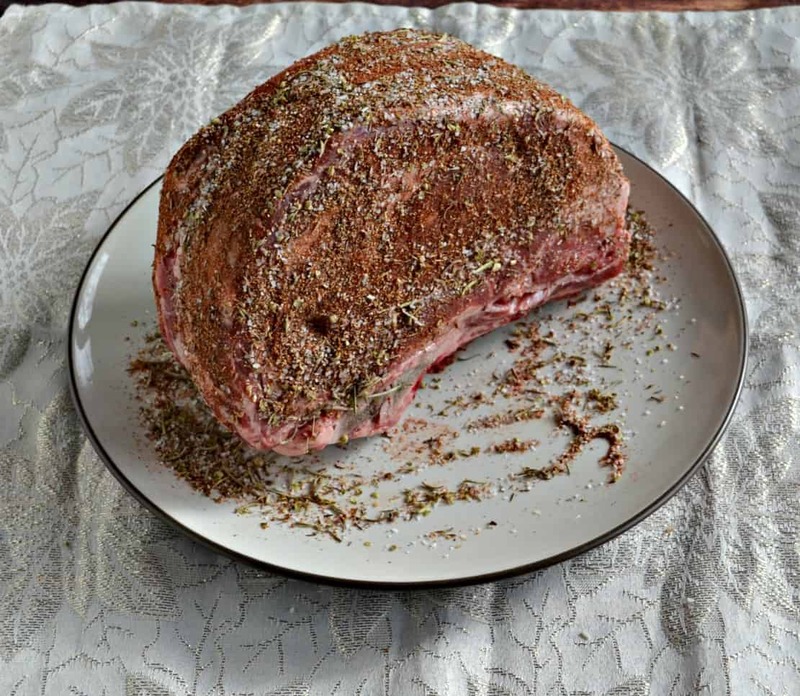 The Garlic Parmesan Horseradish Cream is spicy and the perfect compliment to the beef. 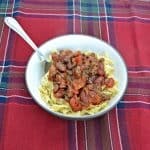 This makes a great holiday meal but it also works for an intimate gathering or dinner party. No matter where you serve it it’s sure to wow! 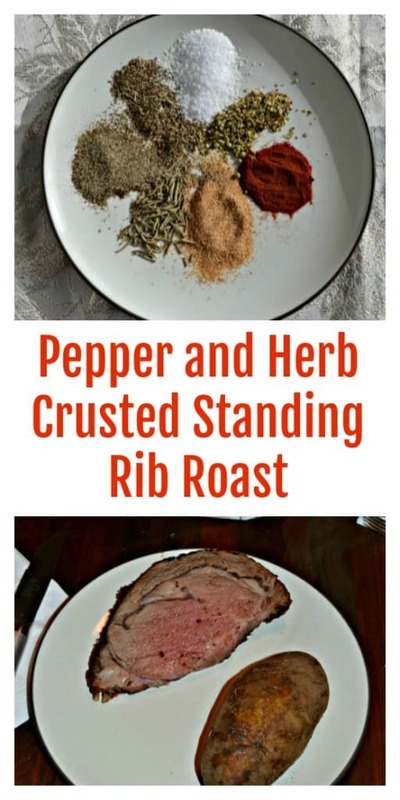 An easy and delicious Standing Rib Roast coated in pepper and herbs then served with a creamy horseradish sauce. In a medium bowl combine the black pepper, salt, garlic powder, rosemary, oregano, thyme, and paprika. 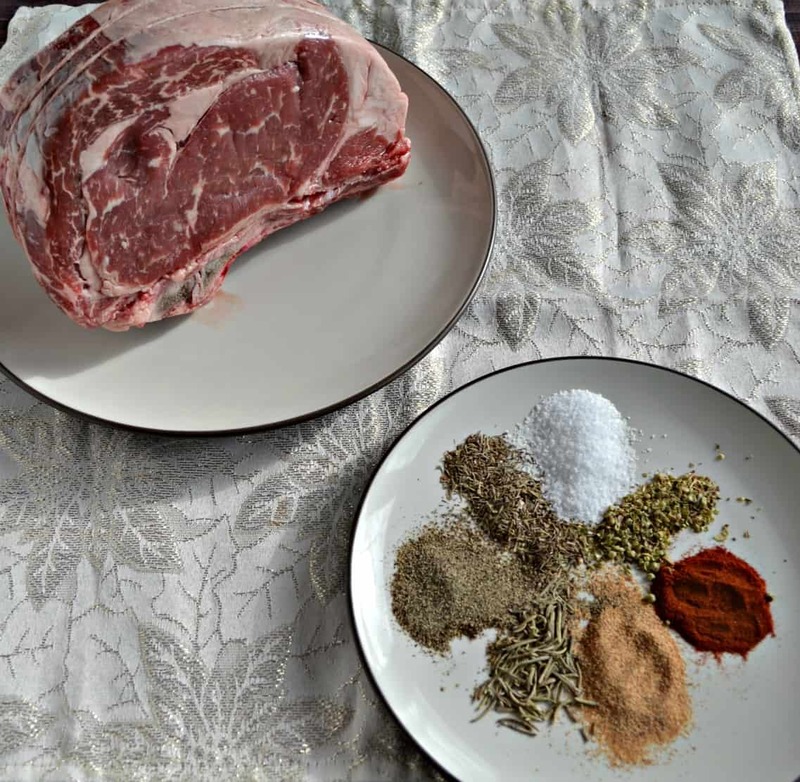 Mix well and rub all over the rib roast. Place the roast bone side down in a roasting pan. 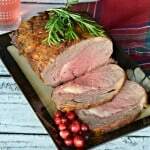 Bake the roast for 15 minutes then lower the temperature to 325 degrees and continue baking for 2 hours. 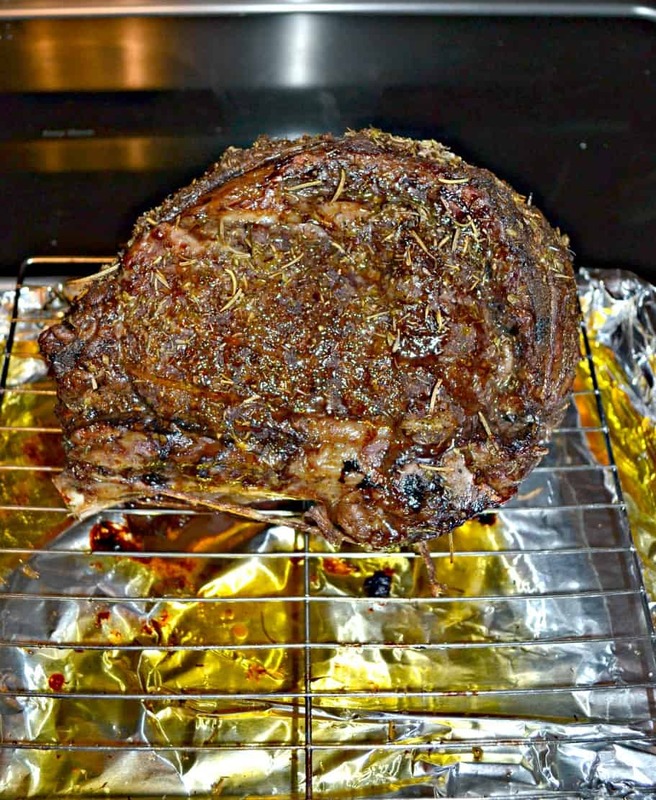 Remove the roast from the oven and tent with foil for 15 minutes. Check the temperature. It should be between 130 and 135 degrees. Meanwhile, combine all ingredients for the Horseradish cream and mix well. Remove foil from the roast and slice. Serve with the Horseradish cream.